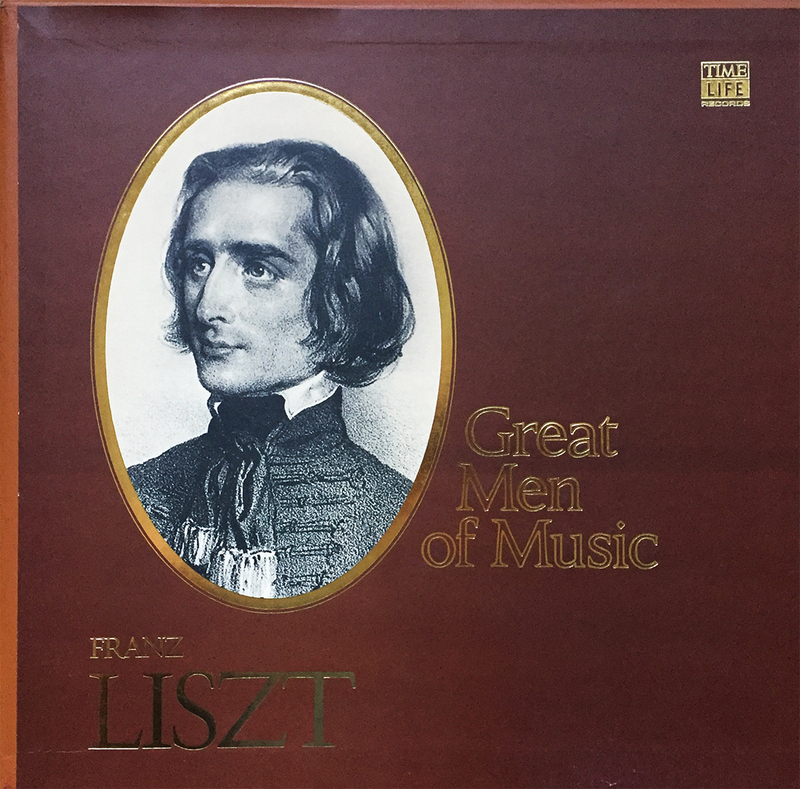 This 4x LP box set by Time Life Records circa: 1978 titled, Great Men of Music, showcases 14 of Franz Liszt’s better known arrangements, including the three-part Faust Symphony. 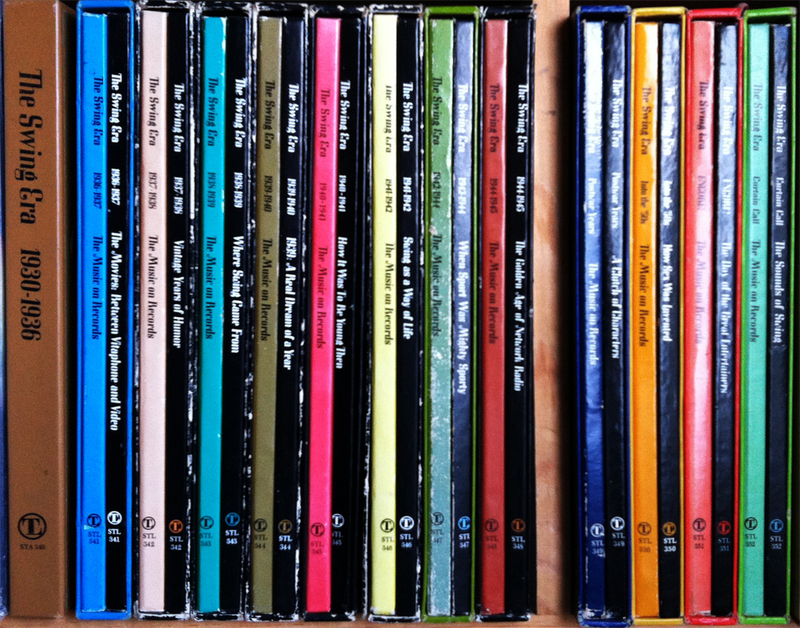 Time Life Records released a library of 4x LP box sets under the Great Men of Music umbrella, including collective works by Stravinsky, Schumann, Prokofiev, Bartok, and of course Brahms, at least, these are the ones we own. Obviously there are Beethoven and Mozart box sets to round out the gaggle, and each can be had for about $1 per record, or $4 per set, making these thorough compilations no-brainers for the casual classical consumer. Was this how it was to be young again, circa: 1940 or 1941? Time Life Records certainly thought so back in 1970 when this 3x LP comp was released. 30, unoriginal (read: covers… or impostors) tracks span the popular swing sound during this two-year period, highlighting works from Duke Ellington, Harry James, Artie Shaw, Les Brown, Glenn Miller, and the like. If you’re in the mood (see what I did there?) 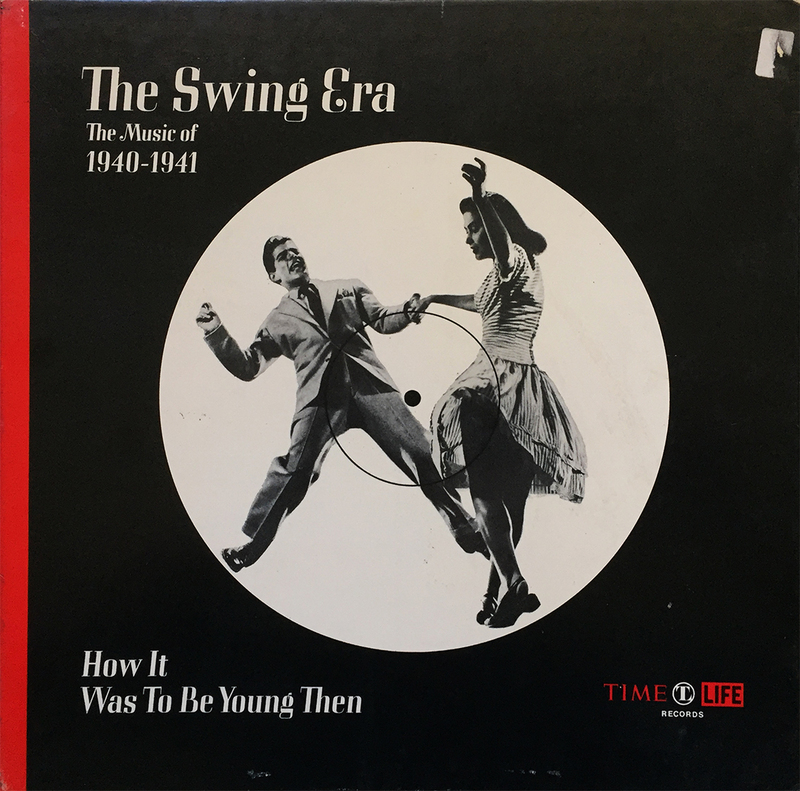 for original swing era recordings, The Swing Era: The Music of 1940-1941; How It Was to be Young Then is NOT for you, but if you’re satisfied with some unobtrusive background instrumental ditties, then this box set may be your bag. 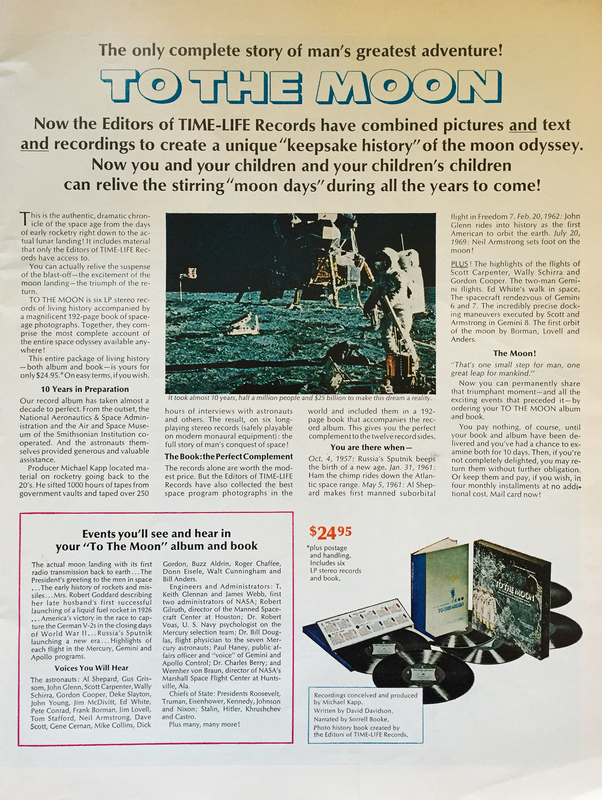 Was flipping though a November, 1969 issue of Life magazine last night, you know, the one with “The Rough-cut King of Country Music” on the cover, aka Johnny Cash, and I came across this amazing full page ad for Time Life Records’ 6x LP box set, To the Moon. I’d acquired this piece of Americana at my brick and mortar about a year ago (the box set, not the magazine… I have my wonderful folks to thank for that one), and I’ve been a bit obsessed with it after the reissue announcement of the Voyager Golden Record box set (Kickstarter), so let’s just say I was a bit beside myself and had to do a double take upon its random discovery in the Life magazine that had been sitting on our living room table for the better part of three years. Man can step foot on the Moon, but I can’t discover a 47 year old record advertisement sitting beneath my nose. For shame. Anyway, have a read, then head over to Discogs to nab this essential box set for next to nothing. She’s currently $7.50 for the full set (that’s 6x LPs and a 192 page, hardcover book, kids), and if you’re feeling REALLY interplanetary, back the Voyager Golden Record on Kickstarter. You’ll thank me later. 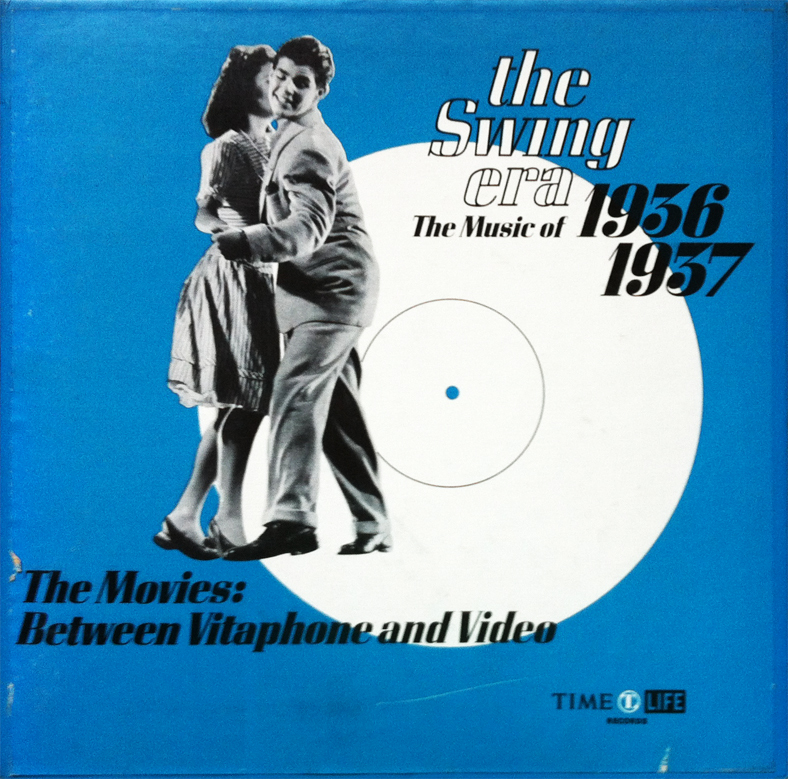 Time Life Records kept its swingin’ stride with 1970’s The Swing Era: The Music of 1936-1936, a three LP compilation of Jazz / Swing ensembles from the mid-1930’s. The label’s second of 14+ in The Swing Era series, this gem comes complete with a 72-page, fully historical and entertaining, photo-filled booklet. The Swing Era: The Music of 1936-1937 features a bunch of Benny Goodman, some Red Norvo, a bit of Bob Crosby, a dash of Chick Webb, and a healthy dose of Tommy Dorsey. I doubt I’ll ever read all 936 pages (72x 13 box sets… I’m missing a few), but the music is choice far beyond passable comprehension. 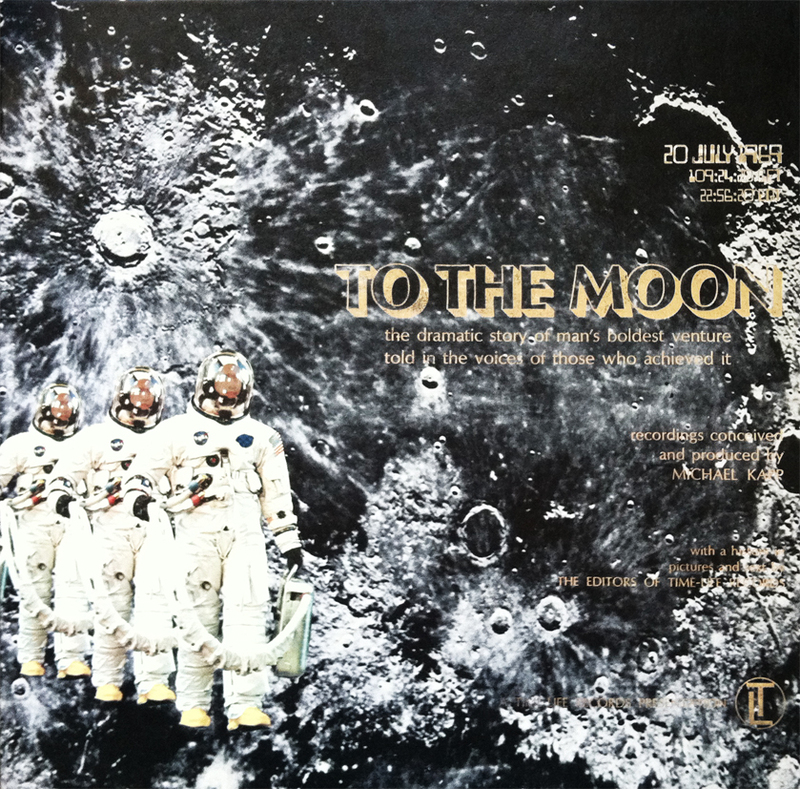 “The dramatic story of man’s boldest venture told in the voice of those whose achieved it.” No, this is not a six record set, documenting the Snuggie, instead, it’s a rather profound, in-depth excursion into the global happenings of this magnificent achievement, man’s first stroll on the moon. Only one record in, and the wave of entertaining, yet historical, back-story is proving to be well worth the $10 purchase price. As a sucker for the history, as much as the content, To the Moon will ultimately prove to be a bygone treasure of interstellar proportions… and comes HIGHLY recommended. Marketing records can be an embarrassingly hilarious industry. 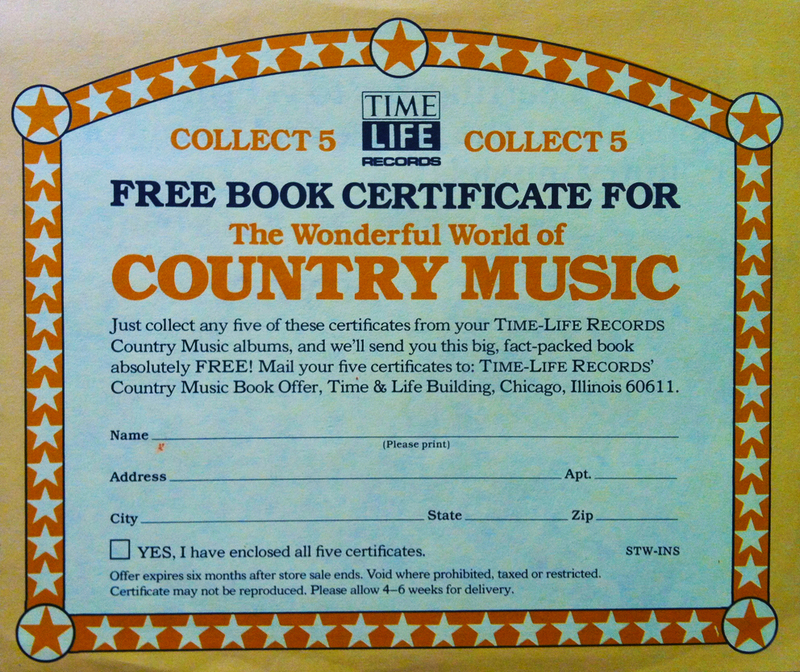 From the album cover, to a free book on The Wonderful World of Country Music used as incentive for consumers to purchase and collect 5 insert certificates, it seems as though Time Life Records in 1981 would go to great lengths to confirm the sales of their Country Music series. Such a clever title for a series, don’t you think? Let’s take a look at the top selling points for The Wonderful World of Country Music, shall we? 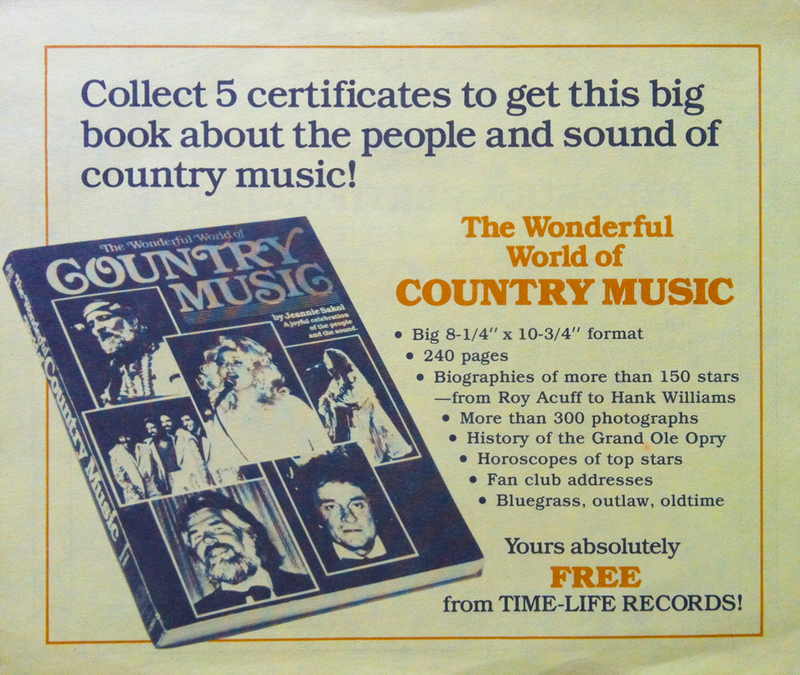 I mean, if I’m going to hunt down four more albums in the Country Music series in order to get this “free” book, I’m going to want to know what I’m in for, right? First off, it’s a “big” book. This certificate was nice enough to offer the book’s dimensions (8-1/4” x 10-3/4”). Second, it contains 240 pages and the biographies of more than 150 stars! ARE there 150 stars in country music? And I’m talking about the GOOD country music here. Maybe that “150 stars” thing was a typo and they meant the “15 stars.” That makes more sense. Third, this book contains the history of the Grand Ole Opry. Alright… any country music lover worth their weight in Hee Haw one-liners NEEDS the history of the Grand Ole Opry. Forth, you get an intimate glimpse into the astrological future of your favorite 15 stars by the horoscopes offered in this monumental book, and finally, “bluegrass, outlaw, oldtime.” I’ve got to admit, I have no idea what the hell that means. 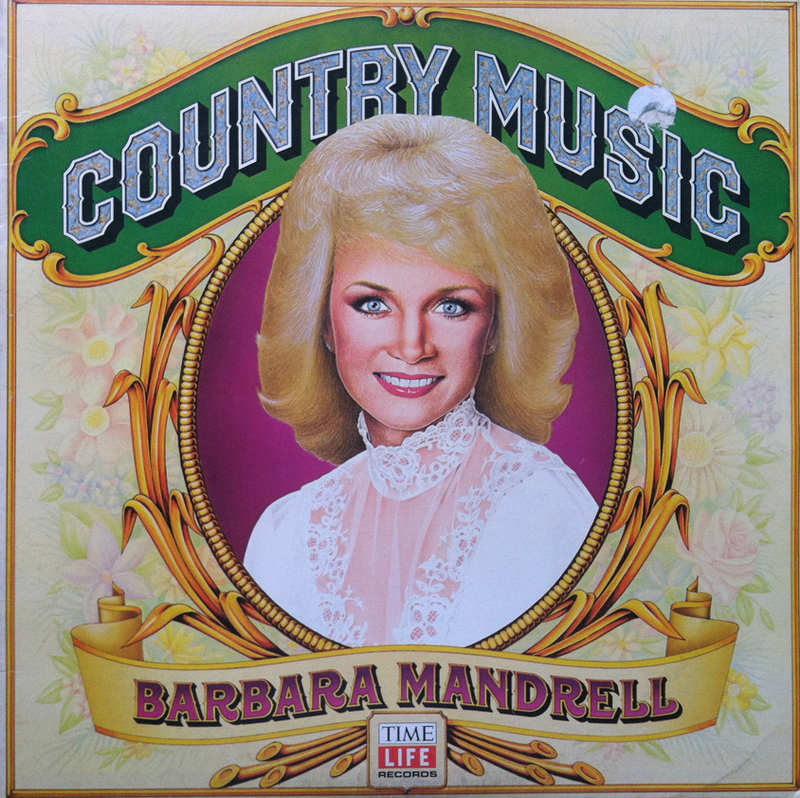 Perhaps the book touches on these off-shoots of Country music? Yeah, no idea.